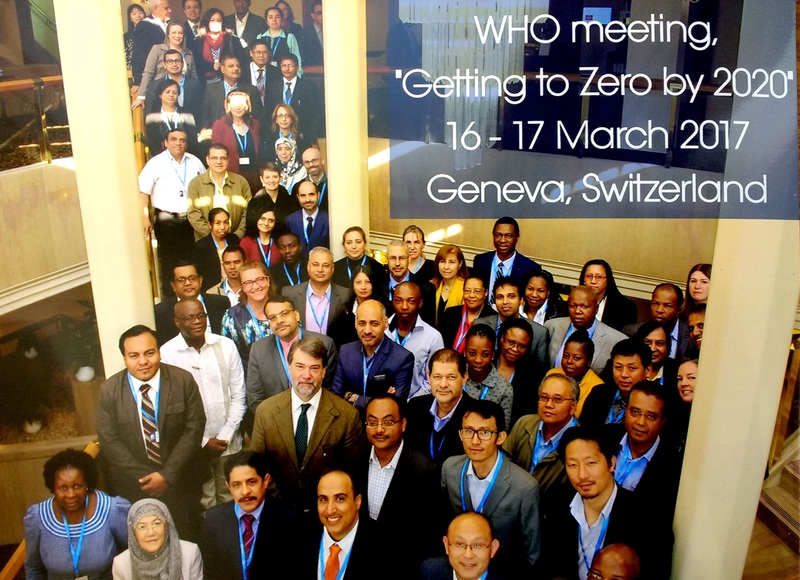 On March 16 and 17, 2017 representatives of the 21 countries who are likely to eliminate malaria bij 2020, which includes Suriname, were invited to a World Health Organization conference in Geneva called “Getting to Zero by 2020”. The objective was to discuss the WHO new framework and guidelines on how to manage malaria in a near-elimination setting and to discuss the challenges experienced by each country. The conference also allowed for networking between the countries and the sharing of experiences. For Suriname both the Program Coordinator and the Coordinator for Diagnosis and Treatment participated.